People have always complained about the dust that comes out of their tools, so it is nice to see that tool manufacturers are finally starting to add dust control to their tools and not just as an afterthought. 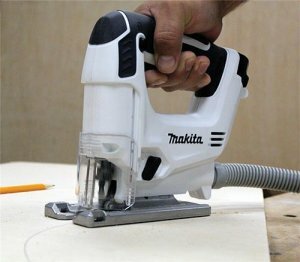 Besides the dust control, the Makita VJ01W also has a number of other features found in professional jigsaws, like 3 orbital stroke settings plus a straight setting. 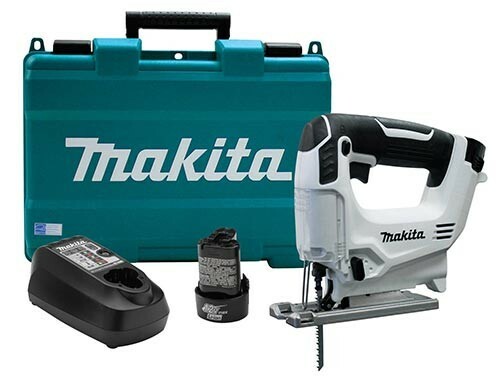 A Makita built motor powers the saw and delivers 0-2,400 strokes per minute with its variable speed control dial. If for some reason you are not hooked up to a dust extractor, you will be happy to know that a dust blower has also been included to keep your cutting line visible. I have always found cordless jigsaws to be super handy to have around, the only question for the VJ01W will be how many cuts you can get out of a single 12v battery. The price doesn't look too bad at $150.